James 1:27 says the religion God find acceptable is “to care for widows & orphans in their time of distress.” We have a mother with 4 girls that lives in a tent close to us. She has no job, no husband, and no way to feed her children. They eat one meal about every other day. She doesn’t want to give her children away and she doesn’t want charity. She wants a job. We don’t have it in our budget to pay her to clean or cook. 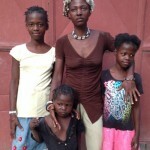 Could you sponsor this family at $100 per month? That will get her regular food and keep them together. The following button will allow you to enter whatever amount you feel comfortable with. Either a one time or a monthly commitment. Our Goal of Support for Crislene has been Met and Exceeded for the Next Twelve Months! Thank You for all of your outpouring of Love for this family. 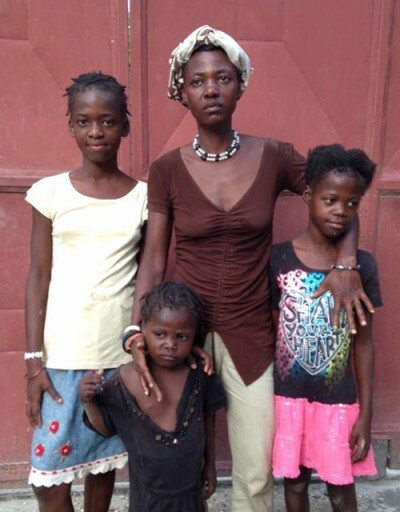 Many of you have responded and made it possible for us to return to Haiti next week with the ability to get this family into a much safer living situation. Again Thank You to each person who has contributed to this family! As we get her moved in, we will post pictures here and on Facebook of the changes.